Quilters’ Haven in Olathe, Kansas, boosts creativity by offering inspiration and education to quilters of all skill levels. The interior of Quilters’ Haven in Olathe, Kansas, boasts crisp white cabinetry and light tile floors. Owners Tom and Debbie Richards stock contemporary fabric and have myriad displays. “Everything about our shop is fresh and new,” Debbie says. Front row, from left: Tom Richards (co-owner), Debbie Richards (co-owner); back row: Mary Maier, Linda Bentz, Emily Paton, Jan McBride, Bernice Duffy, Cathy Johnson, and Beth Ciani. 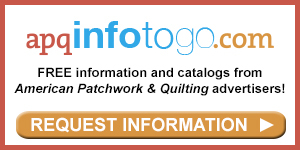 Quilters’ Haven sells short-, mid-, and long-arm quilting machines and offers mid- and long-arm quilting classes. At no extra charge, Tom repairs sewing machines for people who are homebound or in nursing homes. 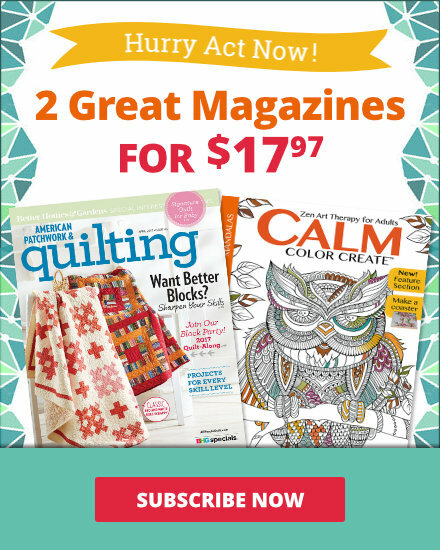 The fabric collections and quilt samples are the stars at Quilters’ Haven. Fat quarters are on display in pots and baskets, and a rainbow of bolts provide a colorful background. Also on display are several patterns from Rob and Mary Stanphill of Willow Bay Designs. 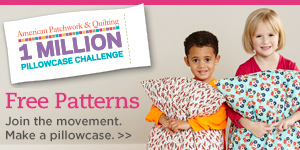 Rob uses his experience as an artist for Hallmark to create quilt designs. Safari Babies (left) and Pony Tales feature the cute, cartoonlike animals that have become the designer’s staple. A sweet jumper and purse are on display for the Folklorica collection for In The Beginning Fabrics. The ruffle jumper and pants Shoulder Tie Top are patterns by Indygo Junction. Quilters' Haven owner Debbie Richards and staff member Linda Bentz designed Lotus Gardens for Quilt Sampler magazine. The machine-quilting designs—soft floral shapes and straight lines—echo the piecework in Lotus Garden. Take the focus to the outer edges of the quilt by using bold, patterned florals from the Eclectic Garden collection by Jason Yenter for In the Beginning Fabrics. 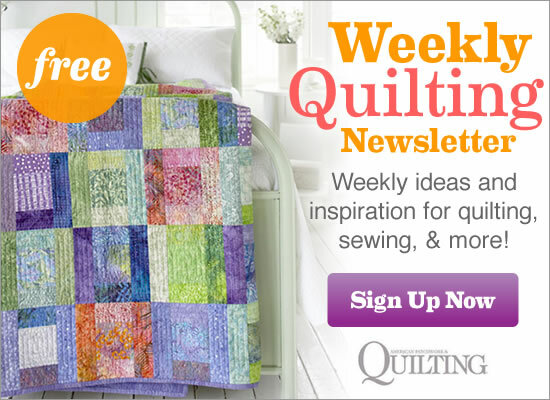 Contact Quilters' Haven to purchase a copy of the Spring/Summer 2010 issue of Quilt Sampler. 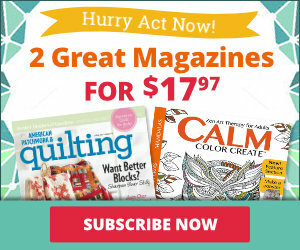 Issues are also available at your local quilt shop, on newsstands, and online.